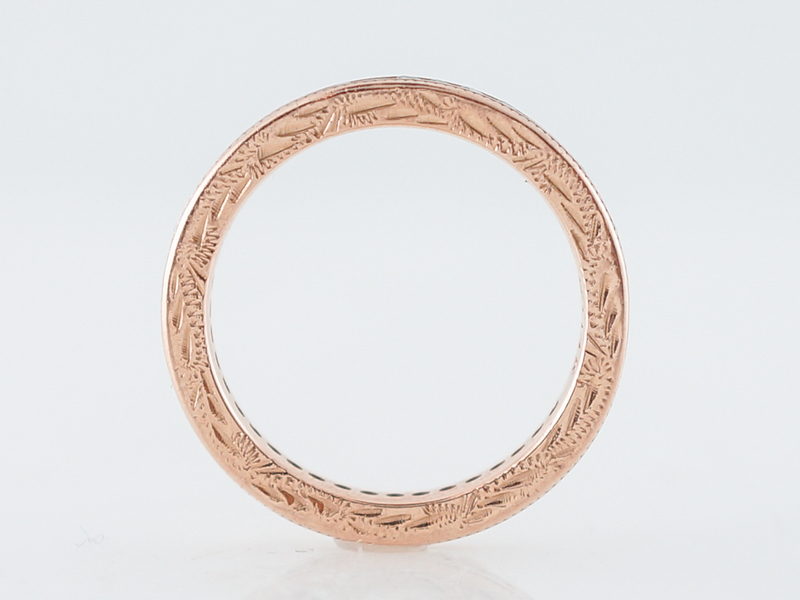 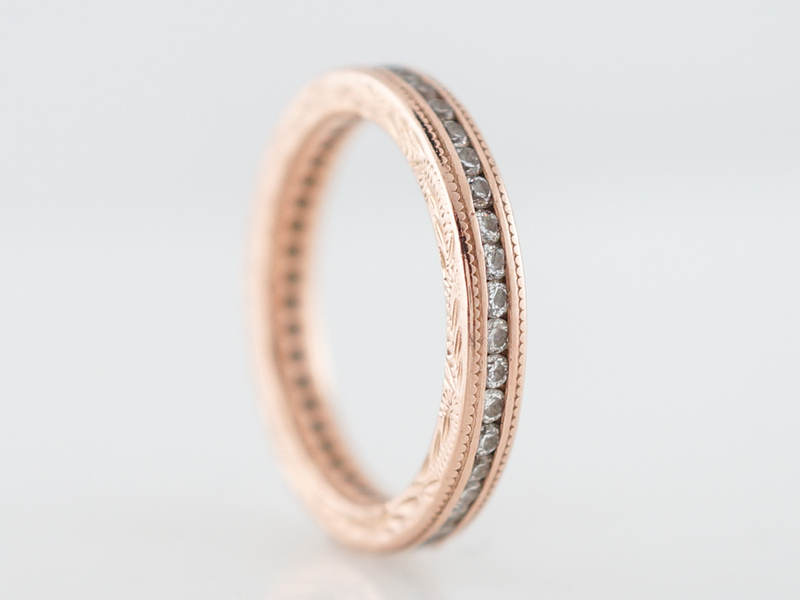 This lovely original antique Retro eternity wedding band features fifty-two (52) single cut diamonds set in 14k rose gold. 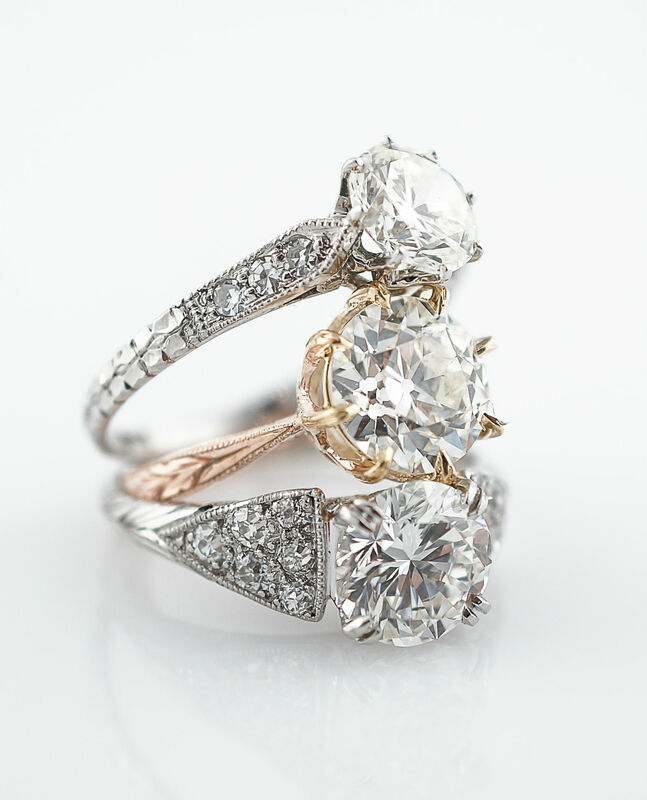 The diamond weight totals .52 carat and they are channel set around the entirety of the band. 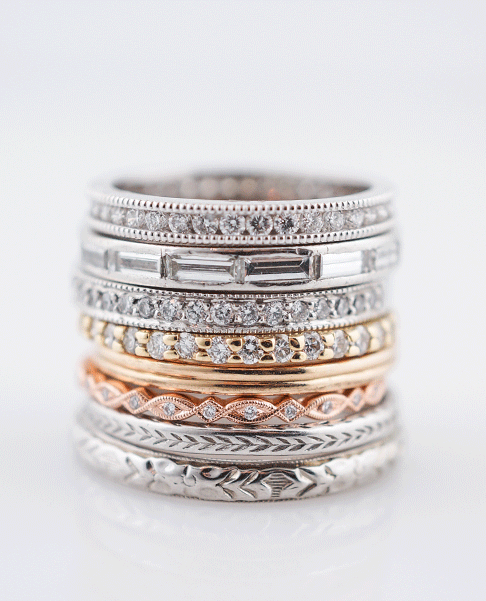 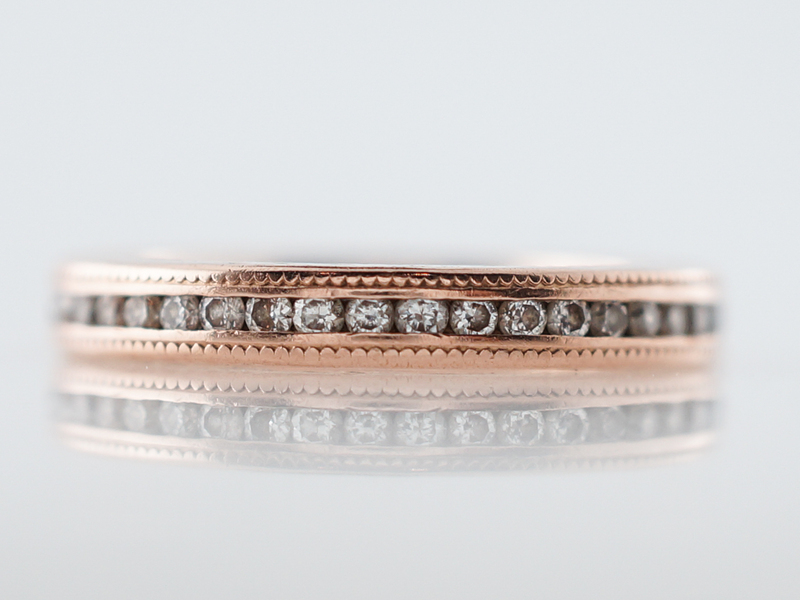 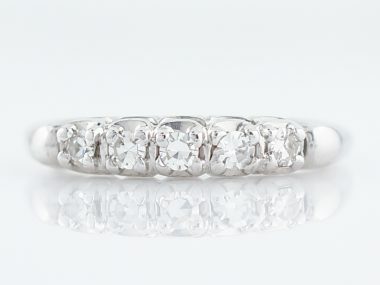 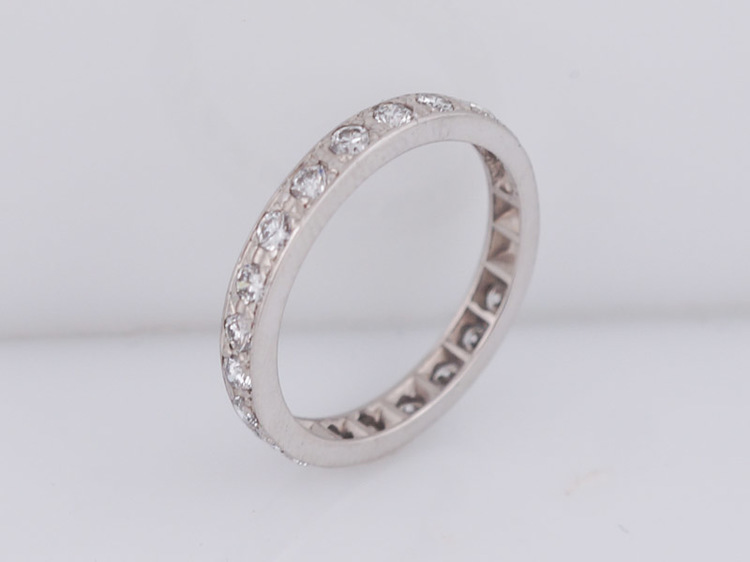 This sweet eternity band also includes a really great scalloped edge engraving. 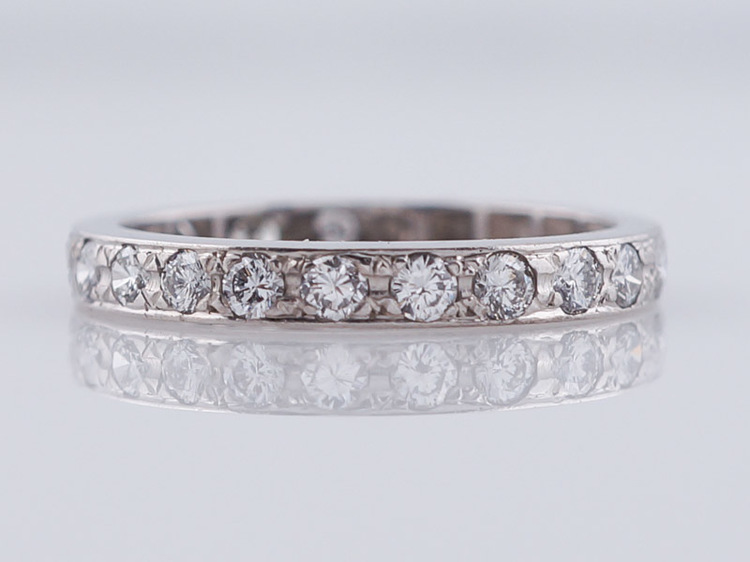 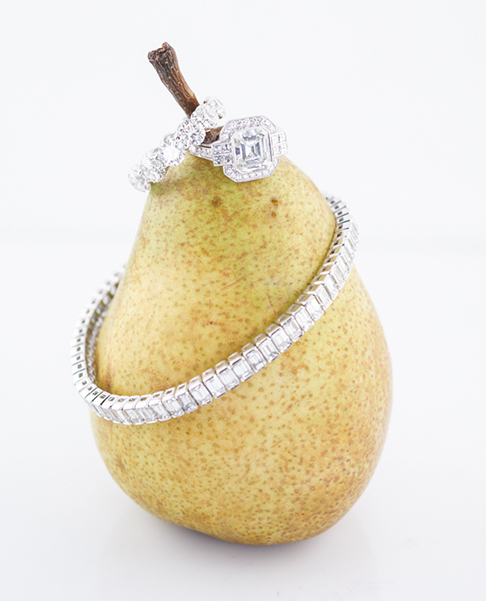 This ring would pair wonderfully with an antique engagement ring.